BARNSTABLE, Mass. /Massachusetts Newswire/ — Cape Wildlife Center, one of New England’s largest and most diverse wildlife rehabilitation facilities, has been selected as the featured charity for the Tuesday, Sept. 15 Whole Foods Market Hyannis “5% Day.” Every purchase made in the store that day benefits Cape Wildlife Center, which will receive 5% of that day’s net sales. Cape Wildlife Center representatives will be present at Whole Foods Market during operating hours to answer questions about wildlife and about the Center’s many programs and services. Whole Foods Market, located at 990 Iyannough Road, Hyannis, will be open that day from 8 a.m. to 9 p.m.
Cape Wildlife Center annually cares for nearly 2,000 injured, sick and orphaned animals, representing about 150 species. The Center also trains wildlife veterinarians and veterinary students from around the world, advocates for public policies that benefit wild animals and people, provides educational offerings for animal care professionals and the public, and offers assistance with the humane resolution of wildlife conflicts. 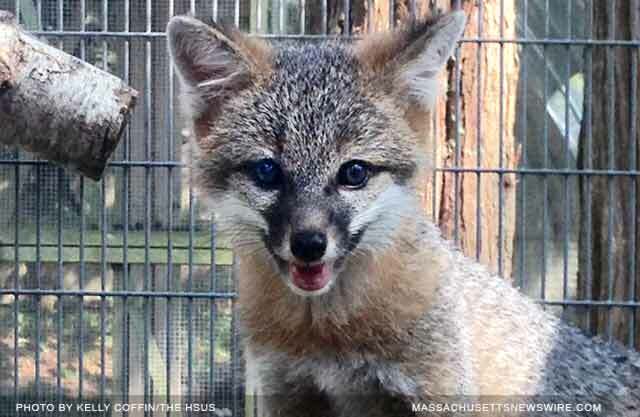 For more information, visit Cape Wildlife Center’s Facebook page https://www.facebook.com/CapeWildlifeCenter or call (508) 362-0111.